The police claimed to have stopped the client for speeding and for having an obstructed licence plate. They said that he was then being “verbally aggressive” and “confrontational” when they approached and spoke with him after pulling his car over. The investigating police officers relied on this, and supposed furtive hand movements by the client which had no apparent purpose, as justification for ordering the client to get out of the vehicle. Once the client got out of the vehicle, on the police version of events, they had the good fortune of spotting a scale covered in cocaine-like residue which was right on the driver seat where the client had been sitting. The police relied on this as their grounds to arrest the client and to search the car. Hidden in a compartment within the centre console, they found thousands of dollars-worth of cocaine, and another scale. The client was charged with possession of cocaine for the purpose of trafficking. While people rarely receive the maximum sentence of life imprisonment for this offence, sentences for significant amounts of cocaine usually include significant jail time. After cross-examining the witness police officers on their various accounts of what occurred, criminal defence lawyer Tyler MacDonald submitted to the judge that there was absolutely no evidence that the client knew about the drugs in the vehicle, and that the charges must be dismissed on this basis. There had been no evidence heard about who owned the vehicle or how long the client had been using it, and no evidence of the client having any actual contact with the drugs. 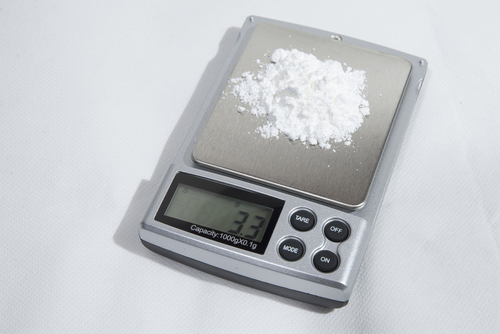 If the officers were believed about their fortuitous discovery of the residue-covered scale sitting right on the driver’s seat, the scale was still a meaningless piece of evidence because of one salient fact: the residue on the scale had never been tested, so there was absolutely no evidence that it was cocaine. Keeping this in mind, there was simply no connection between the client and the drugs that were hidden within the vehicle that he was driving. The preliminary inquiry judge found that no jury could ever find beyond a reasonable doubt that the client knew about the drugs in the car, and that, therefore, the client’s possession of the cocaine could never be proven at trial. Accordingly, the judge dismissed the charges, thereby preventing the case from even getting to trial.